LOGAN — A judge ruled Monday morning there is enough evidence to charge a 40-year-old Millville man with automobile homicide, in the death of local businessman Randy Wirth. Alvin Henson appeared in 1st District Court for the preliminary hearing with his public defender. 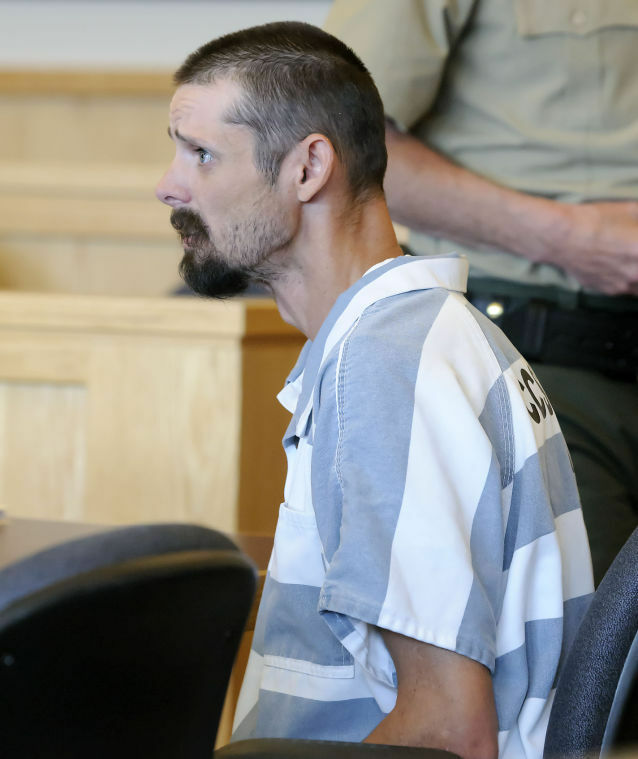 He has been in the Cache County Jail since being arrested April 10, after reportedly causing a three-vehicle accident near 210 West 200 South, Millville. Cache County Attorney James Swink presented evidence of the accident including pictures, diagrams and witness statements. Cache County Sheriff’s deputy Marcus Flansburg was one of the first people on the scene of the accident, that Thursday night. He testified during the hearing that while being arrested, Henson told deputies he had been drinking earlier in the day. Flansburg also said that Henson told deputies that he needed more beer that night so he and Logan resident Brian Schofield drove to the local Maverik Country Store. After the accident, deputies said they found a 30 pack case of beer in the back of the Dodge Dakota pickup truck Henson was driving. Flansburg also said Henson took a breathalyzer test five hours after the accident and blew a blood-alcohol level of 0.13 percent. The legal limit is 0.08 percent. Witnesses told investigators that Henson was driving very erratically and lost control of his vehicle. The truck crossed into the westbound lane, striking a Cadillac DeVille driven by 51-year-old Clay Wilker. Cache County Sheriff’s Sgt. Jake Peterson testified about his investigation into the accident. He said the 1978 Suzuki motorcycle Randy Wirth was driving hit the front-passenger side of the Dodge pickup. Wirth was transported to Logan Regional Hospital by ambulance and then transported by helicopter to McKay Dee Hospital where he died, two days later. Judge Allen ruled that Henson will remain in jail and set a hearing date for May 19th. Alvin Henson, who is charged with automobile homicide, listens to testimony during his preliminary hearing, Monday, April 21, 2014, in Logan, Utah. 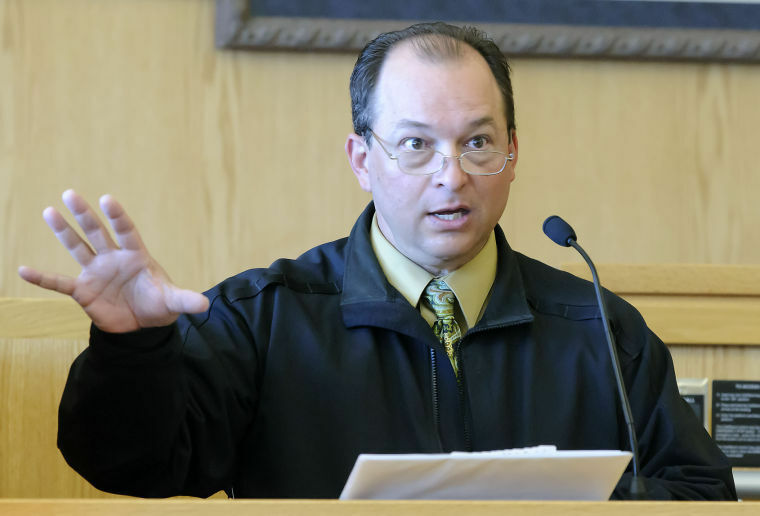 Deputy Marcus Flansburg testifies in Alvin Henson's preliminary hearing on Monday, April 21, 2014, in Logan, Utah. Henson has been charged with automobile homicide. Sgt. 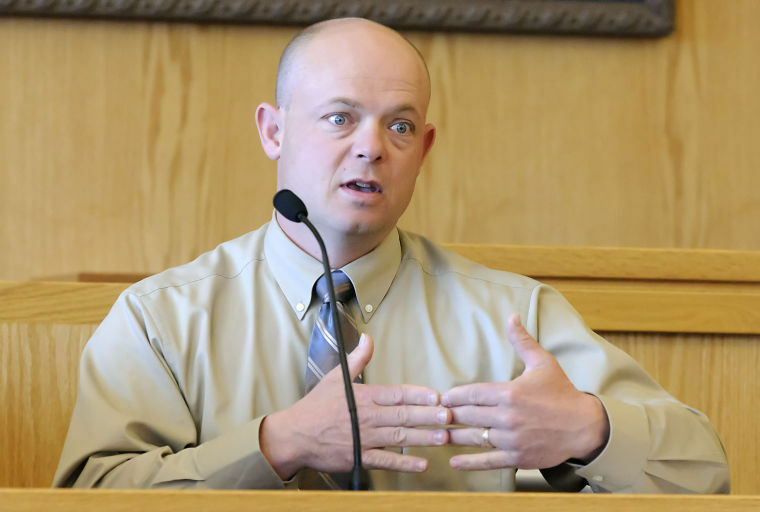 Jake Peterson testifies about the details of an accident, in Alvin Henson's preliminary hearing on Monday, April 21, 2014, in Logan, Utah. Henson has been charged with automobile homicide.